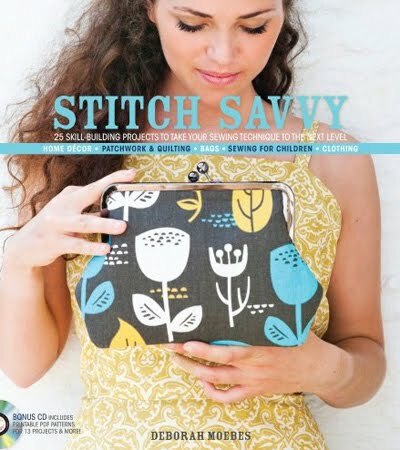 I don't know anything about this soon-to-be-released sewing book, other than that it has one of my fabrics on the cover. A fun surprise! Thank you to whoever sent me the link to this at Amazon, and apologies that I can't remember who it was or find your note at the moment. If you guys didn't send me things, I'd never see where my stuff ends up. I appreciate it! Wow! Are you beaming? I would be! Hooray!! If you're willing to send me your mailing address, I'll make sure my publisher sends you a copy of the book for your very own, as a thank-you for making such lovely fabric for me to sew with! Book comes out some time this week--whee! I just pre-ordered it! Can't wait to get it! Being a pushover for a good book, or in this case a great cover, the first time I saw this I preordered on Amazon. Really--if some of your fabric is used for a project on the cover, it HAS to be good! Mum, was that from you? Sorry; thank you! Deborah, I'll email you! That would be great. Lauren, wow, you have a good eye. I found it! How wonderful- a book cover and a commercial!! Yippee! What a fun discovery!! That fabric is awesome. Also, your Mom always cracks me up :). Grandma G needs her own blog! You're probably right, Mum. I bet those WOULD be the topics if you had a blog. Yup. IF I had a blog. You and Grandma G crack me up!! She's a great supporting character! Your blog wouldn't be the same without her comments!!! !